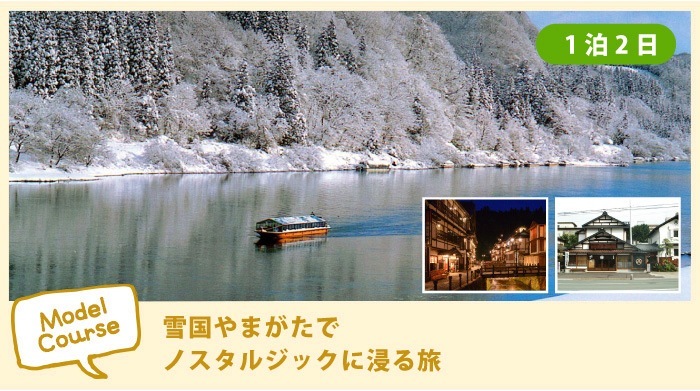 It is plan to enjoy "Ginzan Hot Springs" having high thing popularity & "Mogami barge descent" at sightseeing spot of Yamagata Prefecture in winter. Gaslight can taste night nostalgic atmosphere to burn like atmospheric town of Ginzan Hot Springs sinking into snow simply because we stay. As public transport, [winter Basho] are bus tours of Ginzan Hot Springs departure to Ginzan Hot Springs, we are reliable in snow-covered road that it is not possible for uneasiness as for the car movement. We hold the Doll's Festival in Shinjyo Hometown Historical Center dropping in on tour from mid-February through early April. Shinjyo hina tools related to feudal clan which Kyoho Hina Doll and family coat of arms of the Shimazus entered are displayed. Pickle of Yamagata has been cooked as preservation meal for most to spend winter. Speaking of pickle above all winter in Yamagata called "Seisai-zuke" drink, and Seisai-zuke and Omizuke are made at each home and are eaten. Chinese mustard and nozawana are famous, but crunch-crunch and texture are good, and pickled Yamagata greens which are vegetables for exclusive use of pickle is one article to want you to eat with moderate sharp taste in winter nationwide. 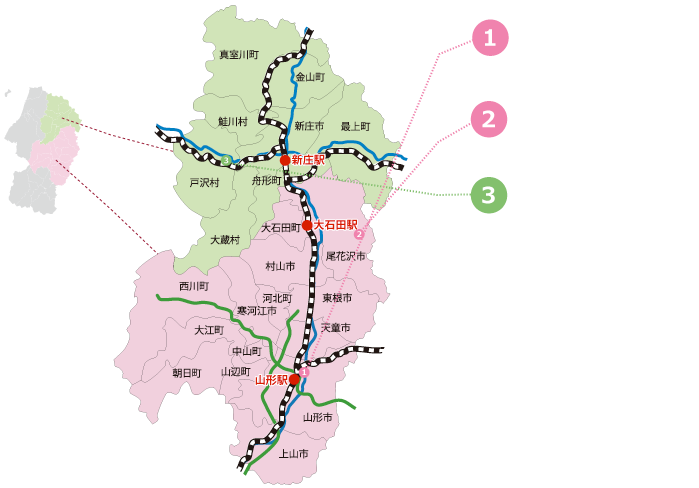 West Kyoto, east Yamagata and Yamagata where original pickle culture develops so as to be said. Yamagata greens and Atsumi kabu, vegetables including Chinese cabbage reach season and are season when pickle is delicious in winter. Restaurant that flavor hermitage maruhachiha long-established store pickle person runs. We can enjoy all year pickle sushi, Yamagata Imoni. In addition, Natto-jiru (inquiry before important business) comes up only in Jan, too. It prospered as Nobe swamp silver mine in the Edo era and became popular as hot-spring resort after the disused mine. 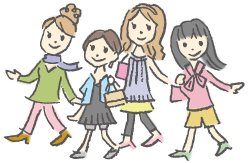 It is the early day of the Showa era that it became the present form. We establish "the Ginzan Hot Springs each house preservation regulations" and we become the underground of electric wire make the sidewalk snow-melting system and maintain scenery and keep traditional nostalgic atmosphere. Ginzan Hot Springs of snow scene of dusk will extremely let you return here again with nostalgia beautifully. Tour to enjoy winter-limited kotatsu by ship best barge descent. It is sightseeing in Basho line which acquired the first place by 30 selections of water sightseeing ships that the first pro chooses that operates ship. It is the world such as black-and-white drawing in circle that blue and white and black play a key role as for the ship descent of scenery of snow covering in comparison with green season. Lunch to eat on ship is included in tour. In addition, we can enjoy specialty of Yamagata Imoni and sweetfish grilled with salt by comment together. After having enjoyed ship descent; to "Shinjyo Hometown Historical Center." We can look at championship festival car of history and Shinjyo Festival of Shinjyo here. With product building in adjacent "Mogami Extensive Exchange Center Yumeria", station lunch "Kamigyo story" that packed taste of mother of the country including sea tangle roll of "sukiyaki lunch of Yamagata cow" and miso-grill rice ball and herring is sold on a qualified scale. In addition, area of comic artist related to Mogami area in experience-based corner can see museum where we gathered sleeping illustrations in no charge for admission.